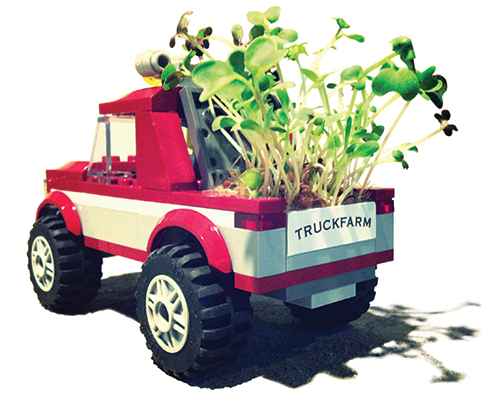 The Truck Farm is available for visits to schools, community centres and daycares. It is less about teaching and more about inspiring and igniting curiosity in kids. Growing with Lego is a fabulous and no-mess program. We put together customized kits that kids can use to build mini pots. We then use an organic coir made out of prairie grasses in place of soil. The kids get to plant Strathcona 1890 Urban Seed Collections microgreen blend in their pot. It only takes two weeks for the microgreens to mature and be ready to eat! Hello, I work at a preschool and one of the parents told me about you and I was wondering if you could email a fee list. Hi – send me an email request at judy@strathcona1890.com and I will send you some info & prices. How do we find out about having it come to school? Hi – send me an email request at judy@strathcona1890.com and I will send you some info & prices. Please let me know what grades you are interested in – I try to be age appropriate.